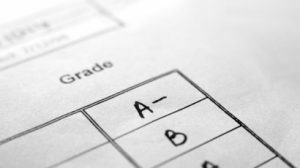 It’s been a nerve-wracking couple of weeks for students and their parents who have been waiting for the release of those all-important A level and GCSE results with baited breath. For many, opening that envelope will bring good news – with university and collage places able to be being taken up, however, expectations don’t always go to plan, with alternative options having to now be considered. The best advice, regardless of whether it’s been good news or bad news, is to remain calm and supportive – but if your child is now one of the thousands preparing to leave home for the first time and head off to Uni, there’s some other vital advice to consider for the weeks and months ahead. The Daily Telegraph’s Catherine Hufton has produced a must-read article on the subject, in which she outlines several key pointers to making this stage in life as positive as possible. They include: Teaching your children a few simple recipes; Making sure they can do their own laundry; Chatting through unexpected finances; Helping them to find the right accommodation; Giving them the right correct gifts and equipment for their digs; Giving them space and independence and last but not least; Enjoying your own freedom. If you would like to talk to The Financial Planning Group about your new found freedom, please call 0800 731 7614 and we will be happy to arrange a meeting at our offices in the heart of Teddington.